Godbrother: When your disciples recite the jaya-dhvani prayers after kirtanas in the temple etc. they refer to Your Holiness as a paramahamsa. Are you actually a paramahamsa, a topmost swam-like devotee? Narasingha Maharaja: What am I? That I know very well. I am the very fallen and lowly servant of Krsna. You, my godbrother, you may also have such a perception of me. But my disciples –– they will not see like that. The post of the guru is paramahamsa. The disciple does not see anything ordinary about his guru. He has such a vision of his Gurudeva. The disciple only sees the inspired side of the Vaisnava who is his Gurudeva. He sees and he is interested only with the investment or delegation of Krsna within his Gurudeva. For example, once I was discussing my earlier devotional life with one of my disciples, Radha-Madhava Dasa, and I informed him that just prior to taking sannyasa I was an ordinary brahmacari preaching in Africa. To which he immediately replied, "Ordinary? Never!" The post of the guru is paramahamsa. The guru is relative at the same time. All will not see him as guru. His disciples see him as absolute. But the godbrothers, or a friend, or a relative of his previous family – they will not see him as absolute. Each will see him according to their individual relationship with him. We must give respect to the post, to the post of guru. Of course one should have the necessary qualification, guru-nistha and niskincana bhakti, firm faith in the order of his Guru Maharaja and freedom from the desires for power, profit, adoration and distinction before accepting the post of guru and accepting disciples. But it will be very difficult to say from an objective point of view who is or who isn't a paramahamsa. 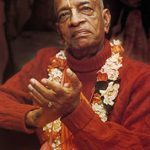 For example, if I ask you if Srila Prabhupada was a paramahamsa you will say yes, but what is your proof? Can you say? What is your proof? 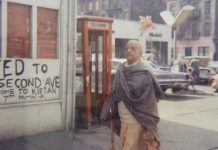 Godbrother: Well, Srila Prabhupada came to America alone and he published many books on the topic of Krsna consciousness. Narasingha Maharaja: Yes, Srila Prabhupada did that and much more, but that is external. Do you mean to say that if an old man simply comes to America and publishes some books about Krsna that we should consider him a paramahamsa? No. Then what is your actual proof? Godbrother: I have my faith and I know it in my heart that Srila Prabhupada is a paramahamsa. Narasingha Maharaja: Yes! That is your proof. Your faith is your proof. Faith allows us to know, to understand, to measure the standard and that is our only real proof. You can seek help from the scripture to know some of the necessary qualifications to become guru but ultimately we must hear from our heart. That is the real proof. It is a subjective experience. It is a matter of knowing from the inner flow of the heart. It is not objective but subjective. The knowledge of the position of the guru descends from above. Krsna Himself reveals the guru to a prospective candidate. Krsna chooses who will be guru and for whom. It is not a matter of voting a man to the post of guru nor is the position of guru understandable by those who have no faith. The qualification to know the truth – to understand the position of the guru, depends on sraddha, our faith. If we have proper faith then the truth is revealed in our heart and there is no greater proof than that. We may judge the position of so many persons in this world by their various qualifications and disqualification but if we try to understand what is guru in that way we will be baffled. Godbrother: But the guru must be pure and perfect. Narasingha Maharaja: Yes he must be pure, he must be perfect – but what is your conception of purity, of perfection? In which way shall we consider that he is perfect or not? How shall we understand his purity? By Vedic standards the gopis were impure. They were unchaste from the material point of view but what was their standard of spiritual purity? They are actually the purest of the pure because they simply wanted to satisfy Krsna. They have no separate desire other than to please Krsna. 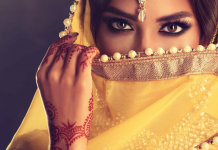 The wives of the Vedic brahmanas, in krsna-lila, were also more pure than their husbands because they simply tried to satisfy Krsna and His friends. Also Ramananda Raya was a sudra, a government servant. Therefore, he was impure by Vedic standards and as such a sannyasi should never touch such a person. 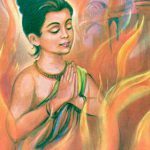 But Caitanya Mahaprabhu rejected such measures of purity and impurity and He embraced Ramananda Raya. Not only that but He accepted Ramananda Raya as His rasa-guru. We cannot know what is spiritual purity simply by trying to measure purity by material standards. One may perfectly follow the four regulative principles for many, many life times but he may remain impure. On the other hand one may not so expertly observe the regulative principle yet he may be a pure devotee of Krsna. Godbrother: But that's not possible. Srila Prabhupada taught us to strictly follow the regulative principles otherwise we cannot go back to Godhead. 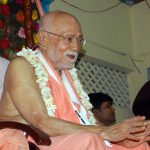 Narasingha Maharaja: Yes, we may strictly follow the regulative principles but without surrender to guru and Krsna where is our purity? It remains only material purity. There are many brahmanas, and sannyasis in India who very, very, strictly follow the four regulative principles yet they are great oppressors and offenders to Caitanya Mahaprabhu's movement. 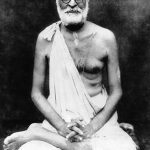 Similarly there are examples of many devotees who were not so strict about the regulative principles but they were pure devotees nonetheless. Narasingha Maharaja: Like Srila Prabhupada's father for example. Everyone knows Srila Prabhupada dedicated his Krsna Book to, "Gaura-mohan De, a pure devotee of Krsna." Yet his father kept a hookah, a water-pipe, in his house for entertaining saintly persons and he sometimes supplied them with ganja also. So what was his purity if he supplied a water-pipe and ganja to his guests. If you do such things your godbrothers will drive you out with a stick. You will be outcast from the society. So what was the purity of Srila Prabhupada's father that he took him to be a pure devotee of Krsna? 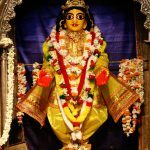 His purity was that he simply desired that his son would become a pure devotee of Srimati Radharani and he prayed to all those saintly person whom he entertained to please give this blessing to his son. That was his purity. He simply desired for his son to become a pure devotee of Srimati Radharani. We have to judge purity from the inner plane, not from the external circumstances. There is another example. There was Pundarika Vidyanidhi. When he came to Navadvipa he was sitting in his luxurious house smoking a water-pipe, wearing costly clothing and perfumes. From his external appearance and habits he seemed to be a materialist. But when he heard the verse, aho baki yam stana-kala-kutam recited by Mukunda Datta he became mad with love of Krsna. When Pundarika Vidyanidhi heard this verse he became very serious and soon shivering and the shedding of tears in ecstasy became manifest in his body. He began to roll on the floor and cry, “Of whom should I take shelter but the most magnanimous Lord? Where should I take refuge without such a Lord?” Pundarika Vidyanidhi had so much devotion for Krsna within, but outwardly he appeared to be an ordinary materialist. Godbrother: Is there more than one pure devotee manifest on the planet at a time. A neophyte devotee who has some faith in his guru thinks that his guru is the only paramahamsa. Amara guru–jagat guru, my Guru is jagat-guru. This thinking will be troublesome for the disciple. The neophyte does not understand the faith of others – he thinks that everyone must be of his mark. The neophyte must make progress in his vision otherwise he runs the risk of committing offenses and again falling back into the mundane world. There is not simply one guru or one pure devotee but many. This point has not been properly understood by the general body of devotees. For example, just after the disappearance of our Srila Prabhupada it was said that there were only eleven pure devotees. Now it is widely said that there are no pure devotees at all. The propaganda machine goes on but where is the proper understanding – where is the knowledge and realization? There is always a plurality of gurus; ceta-guru, vartmana-pradarsaka-guru, siksa-guru, nama-guru, mantra-guru, sannyasa-guru, rasa-guru, sastra-guru, dhama-guru, parama-guru, etc. There are many gurus, but the neophyte devotee has trouble to understand what is actually guru so he is some times accepting one (or eleven) and rejecting another (or everyone). The search for guru is not limited to your society or mine or anybody else's. Guru is a universal principle, not a sectarian concern. Srila Prabhupada had to leave the Gaudiya Matha started by his spiritual master in order to preach and pursue the truth. Similarly, we have had to leave the Iskcon movement to maintain the proper conceptions of the Gaudiya Vaisnava sampradaya. 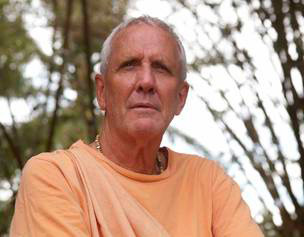 Not only us, but many have had to leave Iskcon to find a bona-fide guru and to maintain the proper standards of purity free from vaisnava-aparadha since the disappearance of Srila Prabhupada. Godbrother: Can one have two gurus? Narasingha Maharaja: Why two gurus? One can have hundreds of gurus if necessary. For example, if in a previous life one has accepted a guru but due to his own shortcoming he could not achieve success then in a future life he will be given another chance. He will meet Sri Gurudeva in a future life but that may or may not be the same identical personality who was his guru in the past. But guru he will get, that is sure. We may pass many lifetimes being helped by many gurus before we reach perfection. Godbrother: But what about this lifetime? Can one have more than one guru in this lifetime? For example, you have first, second, and sannyasa initiation from Srila Prabhupada, but you also have a disciple relationship with Srila Sridhara Maharaja. How is that possible? Narasingha Maharaja: That is also not a new thing. It is more the standard in our parampara to have two or more Gurus rather than having only one. 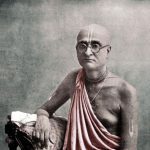 In fact Srila Bhaktisiddhanta Sarasvati ˇhakura often remarked that the eka-guru-vadis, those who preach the philosophy of having only one guru, will certainly have a difficult time achieving perfection. If you study our guru-parampara carefully you will see that many of our acaryas such as Krsna Dasa Kaviraja Gosvami, who offers respect to Rupa and Raghunatha at the end of every chapter of the Caitanya-caritamrta, had two or more gurus. Actually, after the disappearance of Srila Bhaktisiddhanta Sarasvati ˇhakura, many of his disciples accepted siksa from Srila Sridhara Maharaja. Our Srila Prabhupada also accepted Srila Sridhara Maharaja as his siksa-guru. And on the order of Srila Prabhupada I have also accepted Srila Sridhara Maharaja as my siksa-guru and that has been a great blessing for me. Godbrother: Wouldn't it be better if everyone was just a rtvik-acarya and initiated disciples on behalf of Srila Prabhupada? Narasingha Maharaja: That is all right, but we are not Sikhs. That is the conception started by Guru Govind Singh. He announced that there would be no more gurus, only that a body of rtvik-acaryas would initiate. Since then Sikhism has become a dead religion. We are not interested in that. We are members of a living conception, a living sampradaya. This rtvik-acarya idea is a dead conception. Where is the life? The life means I must become pure, I must surrender, I must embrace a life of unalloyed devotion, and I must preach. But what are the rtvik-acaryas going? Nothing. Simply sitting back and pointing with the finger of their crippled faith toward the so-called disqualification of others. They say no one is qualified to hold the post of guru. They see only disqualification in everyone. They are like Duryodhana. But we should not see like that. We should try to see like Yudhisthira Maharaja. There is a story – one day Lord Krsna met with Duryodhana and Yudhisthira Maharaja. Krsna asked Duryodhana to go out into the kingdom and bring back a person more qualified than himself. Duryodhana was highly qualified in the military sciences. Then Duryodhana went out. Lord Krsna requested Yudhisthira Maharaja also to go out into the kingdom but to find a person less qualified than himself. Yudhisthira Maharaja was also highly qualified in all the military sciences and more. Then Yudhisthira went out. After some time both men returned alone, empty handed. Krsna then inquire from each why they had returned alone. Duryodhana said, “I could not find anyone more qualified than myself.” And Yudhisthira said, “I could not find anyone less qualified than myself.” Do you see? Those with the rtvik mentality are like Duryodhana, they cannot see the good qualities of others. In this way what they want to say is that they alone are qualified – at least to judge the qualifications of others. This kind of thinking is avaisnava, against the devotional line. Another argument is this – the rtvik-acaryas are saying that no one is qualified. But they have not seen everyone so how do they know for sure. It is the same old story. 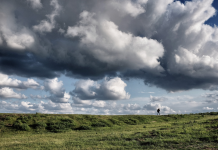 A man says he has not seen anyone who has seen God. Therefore, he says, nobody has seen God. But how does he know? Has he met everyone and inquired, "Have you seen God?" No. And if he met some one who said he had seen God would he believe him? Probably not. Consider this point also – Srila Prabhupada had at least 5000 disciples. Many of them are still carrying on Krsna consciousness even to this day. Now you want to say that none of them have become qualified? None of them have have become Krsna conscious? If that is true then why on earth would you want to become a disciple of Srila Prabhupada? After all – not even one of his disciples became qualified even after following the process for almost thirty years. Then what will be the use of you following that process? Certainly it must be defective. If one is a professor but none of the professor’s students have qualified to pass the examination then why should I want to enroll as one of his students? I would do much better for myself to find out a professor who has got some qualified students. Then at least I might have a chance to qualify myself. Do you follow? Those who are preaching this rtvik-acarya conception are actually doing great harm to Srila Prabhupada's movement. This rtvik idea is a dangerous conception. It simply leads to the grave. It has no life. Godbrother: But how can we know for sure if a godbrother is a qualified paramahamsa or not? Narasingha Maharaja: First you must surrender and become a pure devotee of Krsna and your spiritual master. Then you will know for sure who is who. It takes one to know one.